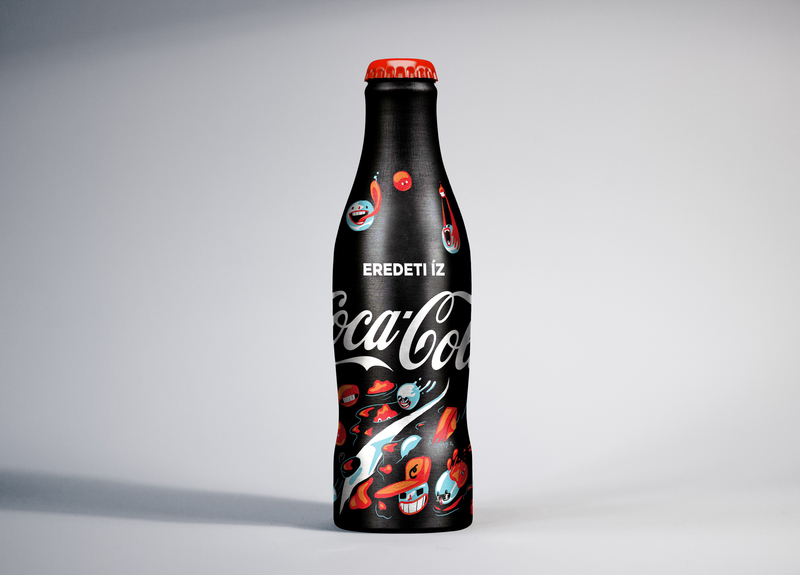 Coca Cola Serbia, Limited edition bottle, packaging design. 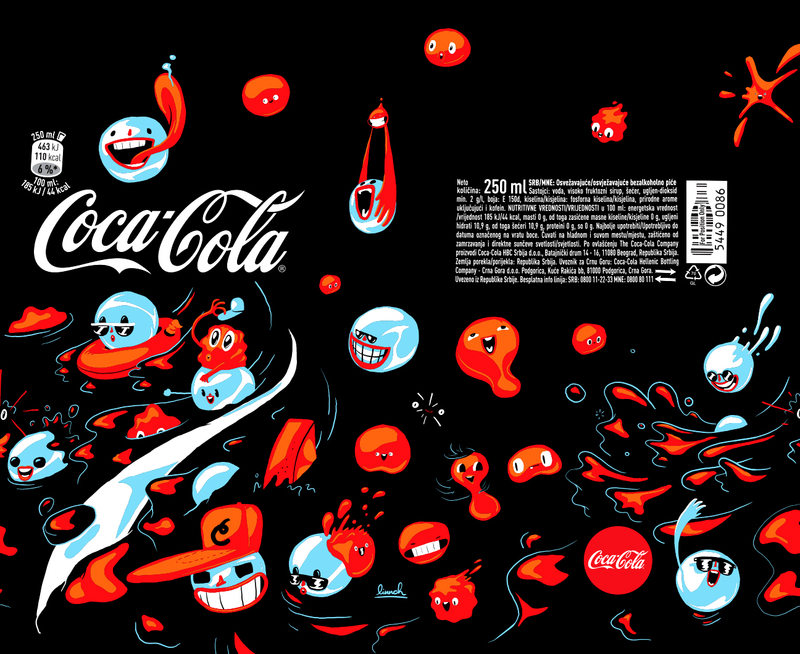 Taste the Feeling campaign. 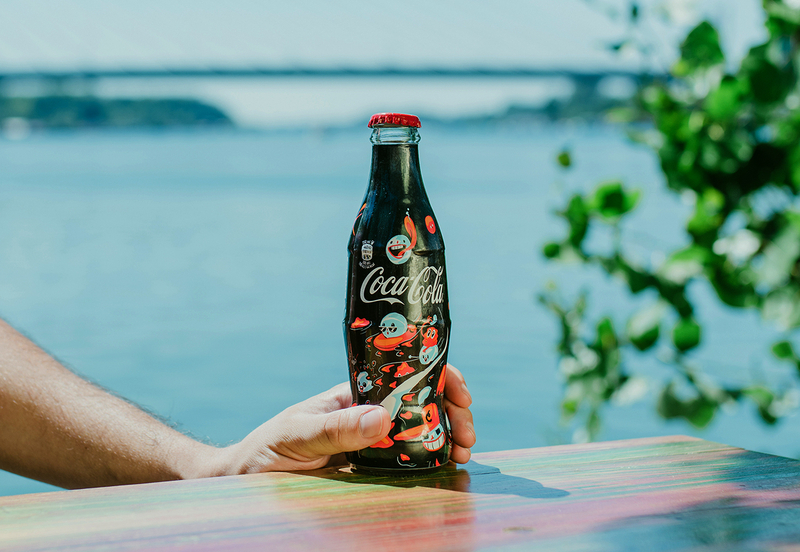 Coca Cola limited edition bottle by Linnch was made during Taste the Feeling campaign together with 5 more amazing designs from Serbian artists: Bratislav Milenkovic, Braca Burazeri, Artez, Nikola Mihajlovic and Vuk Cuk. Taste the Feeling campaign was about different senses, and each artist got a goal to make a piece inspired by one of the senses. 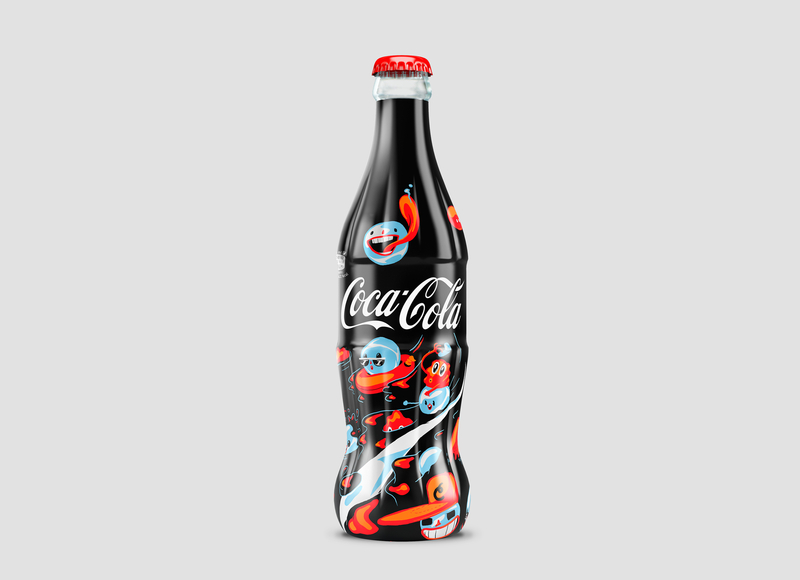 Basis for developing characters and shapes of Linnch bottle was Touch of Coca Cola. 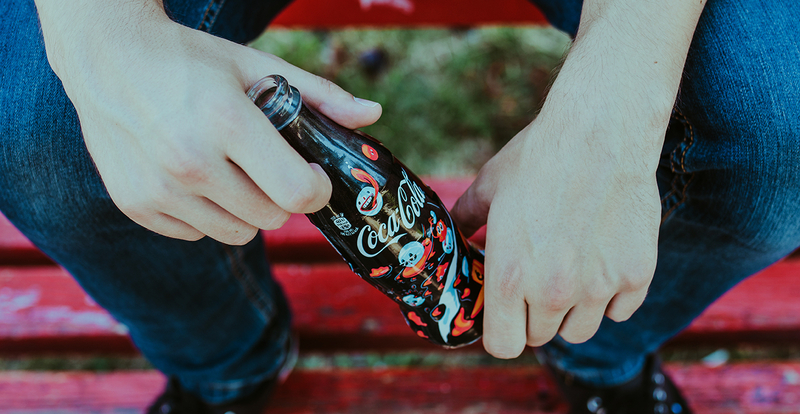 First contact with Coca Cola is explosive, full of energy, coolness and of bubbles, that are popping. Goal was to create energetic composition full of happy characters that are enjoying the ride of energy.